Good Day This is your Reenty Mythbuster Training ENJOY Click here to begin. 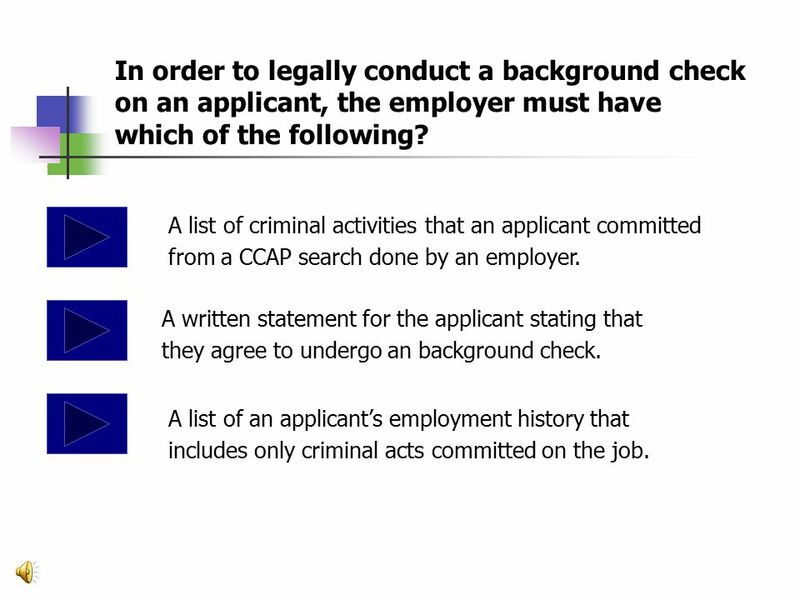 3 In order to legally conduct a background check on an applicant, the employer must have which of the following? A written statement for the applicant stating that they agree to undergo an background check. A list of an applicant’s employment history that includes only criminal acts committed on the job. 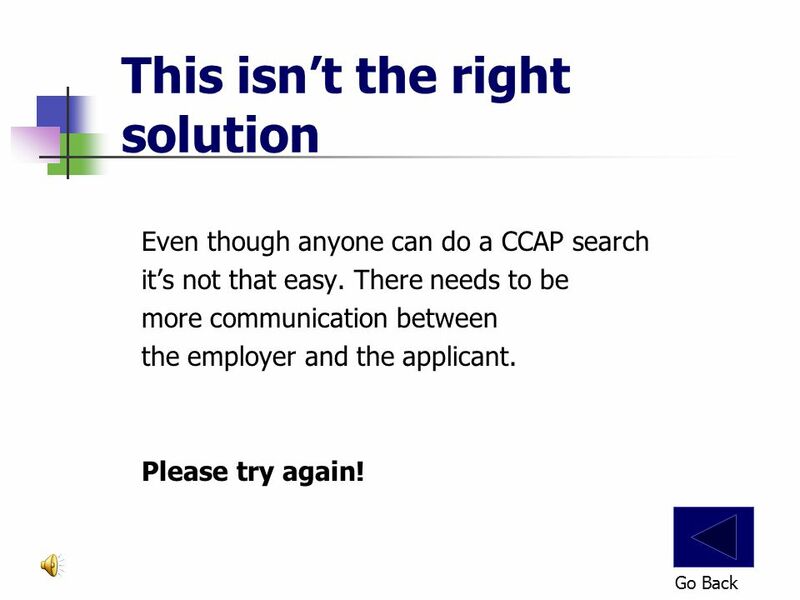 A list of criminal activities that an applicant committed from a CCAP search done by an employer. 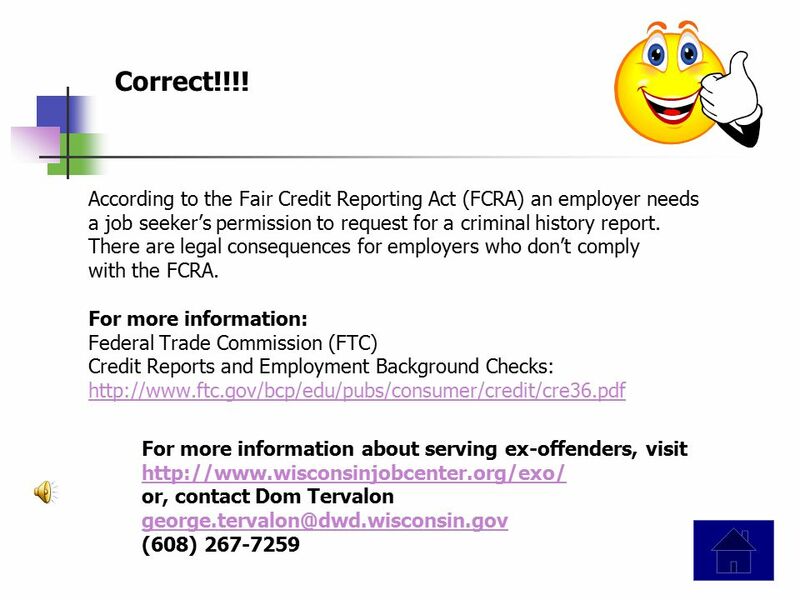 Download ppt "Good Day This is your Reenty Mythbuster Training ENJOY Click here to begin." Good Day This is your This is your30-SecondTraining ENJOY Click here to begin. Good Day This is your 30-Second $ Asset Development $ Training ENJOY Click here to begin. This is your 30-Second Employer Training: Recruitment & Hiring Strategies ENJOY Click here to begin Good Day! 30-Second DEI Trainings are a collaborative. This is your 30-Second Employer Training: Recruitment & Hiring Strategies ENJOY Click here to begin Good Day! ALTERNATIVE SEARCH PROCEDURE/PROCESS/PROTOCOL (ASP) Office on Volunteerism and Community Service. 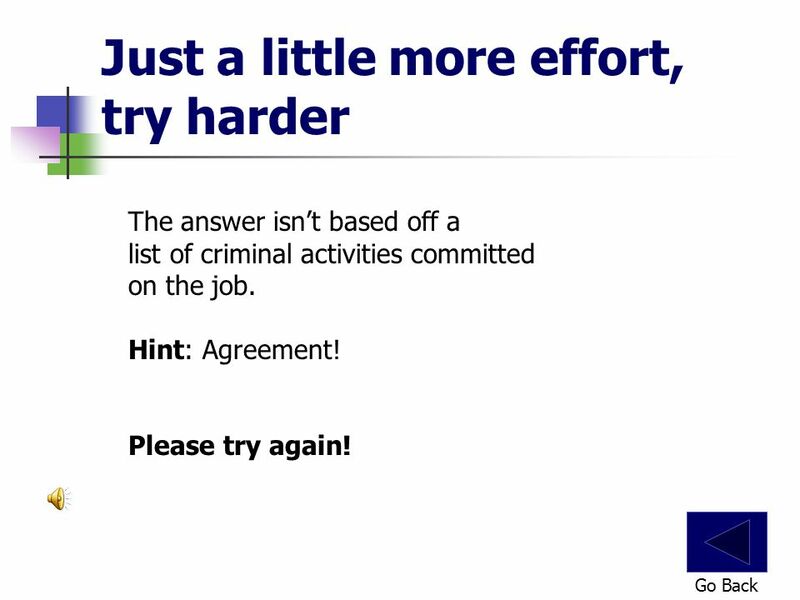 Good Day This is your Offender Mythbuster Training ENJOY Click here to begin. Good Day This is your Mythbuster Pop Quiz ENJOY Click here to begin. Good Day This is your 30-Second DPN Training ENJOY Click here to begin DPN.